Specifically the Flakpanzer IV Wirbelwind SdKfz 161/4, by A. Bellón, A.K.A. 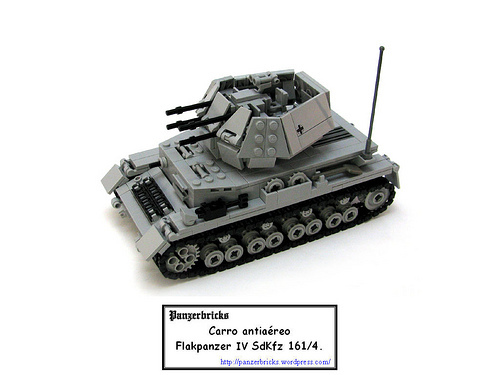 Panzerbricks. Enjoy tonight’s slice of WW2 history, and check out the builder’s website if you’re interested in more of his work.